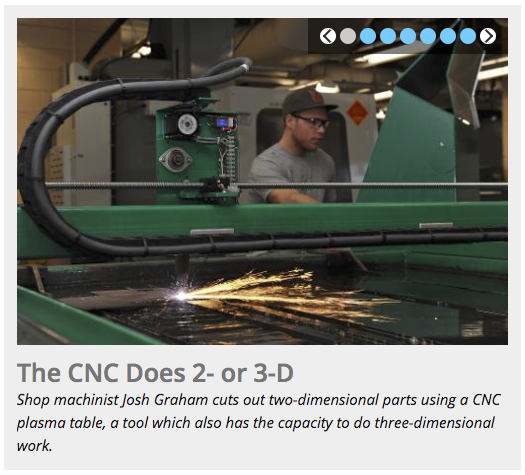 You can add customizable social media icons to the footer of your website, just below the contact information. This is only available in the _props.pcf file within the root folder for your site or the folder where navigation is restarted. You can choose to add call to action buttons at the top of the footer on your website. You can choose to add just the Give button linked to a page of your choice, just the recruitment buttons with preset links, or all four. The default is no buttons. This is only available in the _props.pcf file within the root folder for your site or the folder where navigation is restarted. 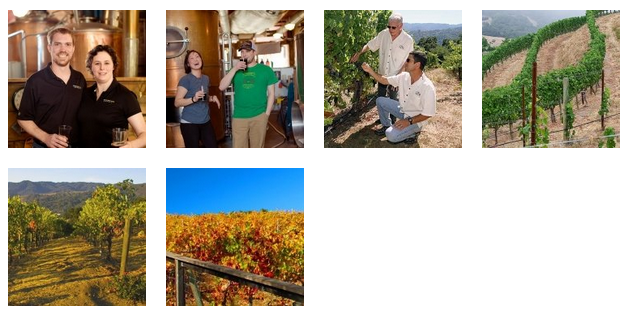 This snippet will create a grid of thumbnail images that pop up into a scrollable gallery when a thumbnail is selected or a gallery of larger images that the user can scroll through that also pop up into a larger image. For the thumbnail option, only the pop-up image will display the title caption, but they will be displayed on the page for the gallery option. It is important to use properly structured HTML headings when organizing your web content. Think of webpage headings as a table of contents for a story. Headings are not required on webpages. However, they help break up and organize lengthy informational webpages—improving readability. Proper heading use is not only important for accessibility, it also has search engine optimization benefits, which can help your webpages rank higher in Google’s search results. The Alumni Profile item is used to create individual people that can appear on the Alumni Profiles page or in department Academies. 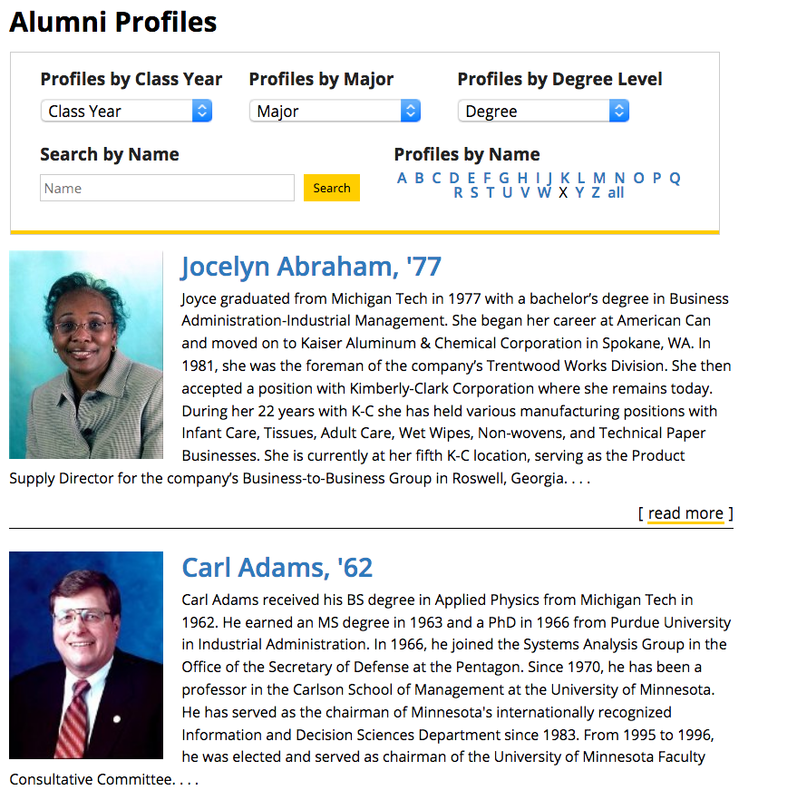 Example of the Alumni Profiles page. 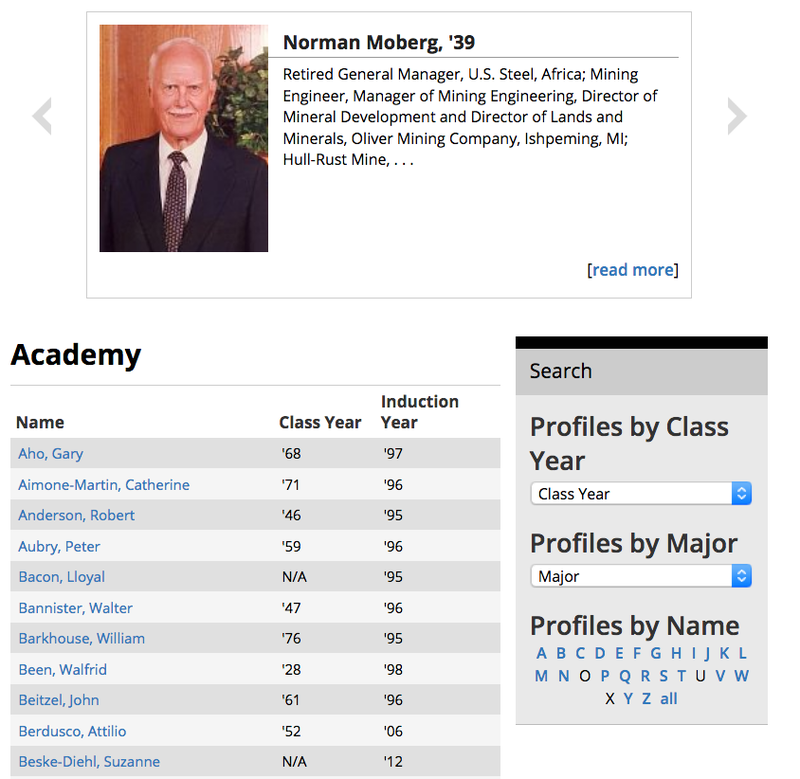 Example of a department academy page. 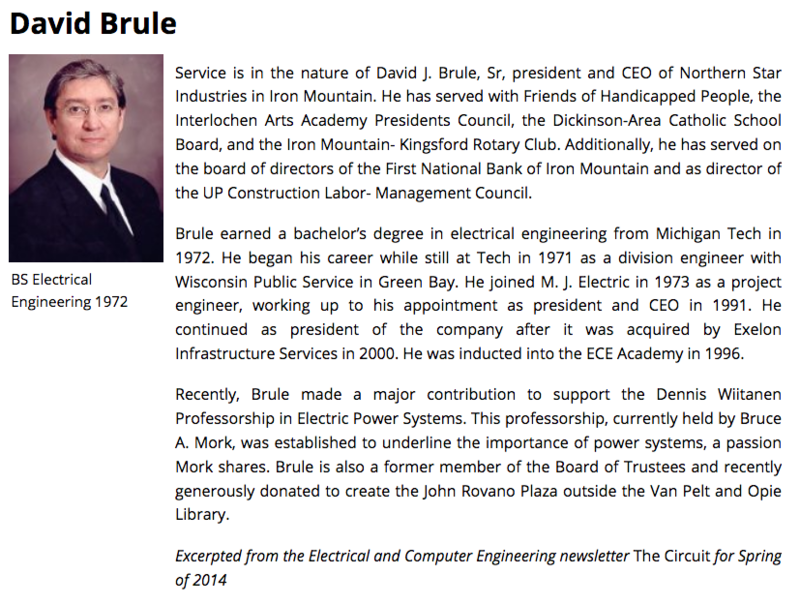 Example of an alumni profile page for a person. There are three button colors that can be used in the CMS. They can easily be created when you set up your link or you can use the List Spread Buttons snippet to created multiple buttons in a row. Data tables present tabular information in a grid. They are made up of columns and rows that communicate the meaning of the information. There are several options for styling your data in tables to allow for a clean, visually appealing look. This snippet is no longer available. It has been combined with a larger gallery option in the Image Gallery snippet.